Successfully Added Super Mini 2GB MP3 Player - Water Resistant to your Shopping Cart. Super small 2GB MP3 player with a total size of 43x15x8mm (about the size of a child's pinky finger). Water resistant/weatherproof design so you can take it in the rain with no worries! If you are looking for a MP3 player that can go everywhere you go while wearing on your neck or keychain, then this is the MP3 player for you! Perfectly designed to be worn around your neck like a necklace, this cool matte black MP3 digital music player is the perfect companion for a busy person on the go. 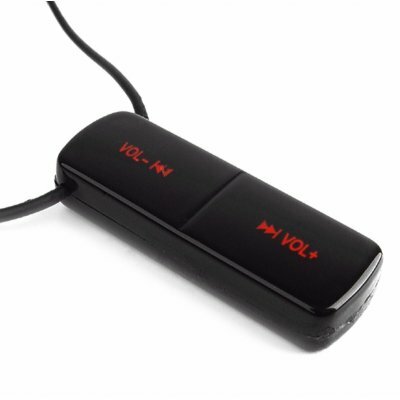 Featuring high end specifications, a great design and feel, Window plug and play compatibility (including Vista), plus Chinavasion's 1-year warranty and friendly customer service, this is the number one dedicated MP3 player that you should be looking to buy for resale (or just for your own fun!). Click "Add to Cart" now to have us instantly ship this to you today. Do not pass up the opportunity to see just how good this MP3 Player really is! Bonus: Premium quality gold plated earphones now included!